Goal oriented Operations Manager with Associate in Arts and background in government forms. 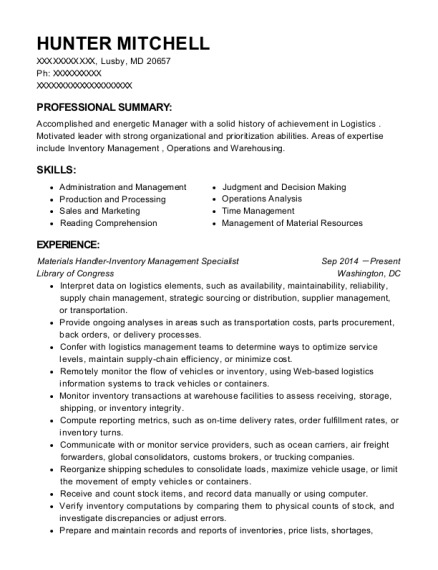 Great organizer and attention to detail with seven years of experience in wholesale management and permit expediting. Responsible for organizing incoming order invoices, daily sales summation, truck route planning. Directing up to 10 employees for order processing and truck loading. Responsible for helping contractors organize and submit city/county building permit applications, including supportive documents such as blueprints or structural load limits. Notarizing signatures of contractors and property owners. Assisted in the repairing and interior/exterior painting of homes and multi-unit buildings. 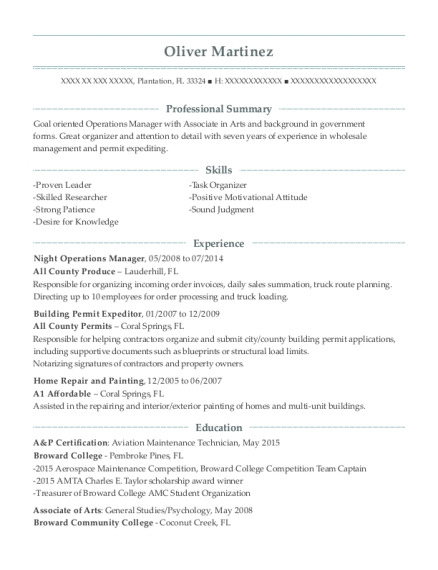 This is a resume for a Night Operations Manager in Plantation, Florida with experience working for such companies as All County Produce and All County Permits. 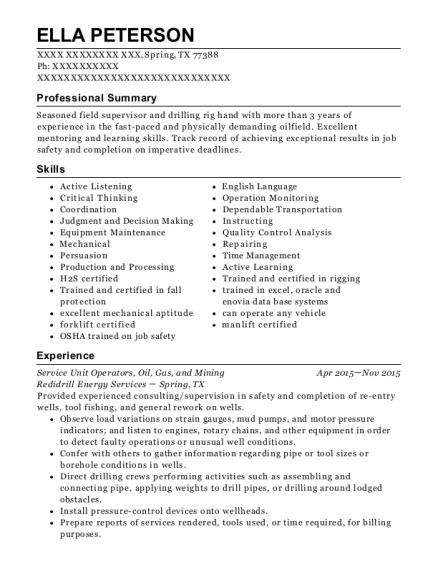 The grade for this resume is 0 and is one of hundreds of Night Operations Manager resumes available on our site for free. 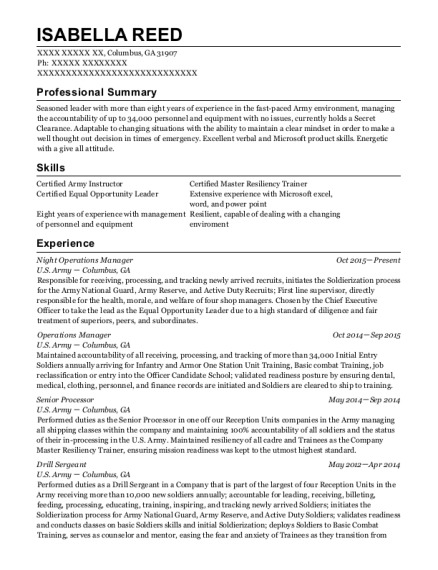 Use these resumes as templates to get help creating the best Night Operations Manager resume.